Typically New Jersey requires divorced parents to contribute to their children’s college expenses. In the past, college was considered a privilege reserved only for the wealthy and elite; however, as it has become more accessible to everyone, the question of expense must be considered by parents. With a wider variety of higher education, such as county, community, state, and private colleges, as well as vocational schools, it is easier for families of all budgets to find a tuition that fits their financial situation. In the ground-breaking case Newburgh v. Arrigo, 88 N.J. 529 (1982) the NJ Supreme Court addressed the issue of parental obligation in these situations. The court found that generally parents who are financially capable should aid their qualifying children in educational expenses, whether this be by paying all or part of the cost. In some cases, this responsibility can even include post-graduate education. 12. the relationship of the education requested to any prior training and to the overall long-range goals of the child. It is best for divorced parents in New Jersey to address college expenses as they would if they were still married, and expect joint responsibility. Parents should also be sure not to overlook college obligation when drafting the property settlement agreement. Even individuals with young children should take this into account; the agreement may be modified in the future, but adding this language in the initial agreement may save both parties from further disputes and legal fees. If an agreement cannot be made between the parties directly or via divorce mediation, the discovery process will begin and attorneys will exchange relevant financial information on their clients including tax returns, W-2s, assets, and Case Information Statements. If attorneys cannot come to an appropriate agreement, the court will schedule a hearing in which the judge will take the discovery into account and determine each parent’s contribution, as well as address any additional child support modifications. If you currently have a property settlement agreement that does not mention your child’s college tuition, a court will likely require some sort of contribution; however, it is still important to consult with a NJ family law attorney and consider whether modification to add the provision is appropriate in your case. While some parents may believe that their child will be considered emancipated when they turn 18, this is not always the case. Emancipation usually only becomes an issue when a parent paying child support believes they should no longer be required to make payments. New Jersey does not have a fixed age for the termination of support; therefore, when the obligee-parent does not agree that payments should stop, the obligor must filed a motion seeking the emancipation of the child and termination of support. An emancipated child is released from the control and support of a parent, as they have become financially independent. This age will be determined by the court unless an existing property settlement agreement has defined an age of majority; however, even this does not entirely release parents from the college contribution obligation – only a court may make a final decision on parents’ responsibilities in this matter. There are instances in which contribution is not considered appropriate, such as if a child’s relationship to the parent is essentially non-existent despite the parent’s attempt to maintain it. These situations will be decided by the court on a case-by-case basis, so it is crucial to work with an experienced NJ family law attorney. 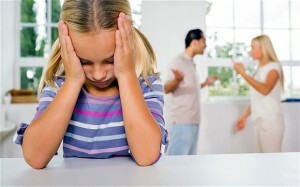 One of the main concerns of parents going through or contemplating divorce is the affect it will have on their children. While it is commonly thought that this will be solely negative, the impact greatly depends on how the conflict is handled and how well the spouses are able to communicate as parents. Divorce mediation and children may involve custody and or child support mediation are increasingly popular alternatives to litigation because focus is put on open communication and compromise. A study conducted by Dr. Robert E. Emery – whose research focuses on family relationships and children’s mental health – found that divorce mediation had a positive impact on family relations. Couples were randomly assigned with litigation or mediation, making it clear that the outcomes were linked to the method of divorce. Mediation lasted an average of only five hours, was problem focused, and sensitive to emotions. After 12 years only 9% of the nonresidential parents who litigated saw their children weekly compared to 28% of those who mediated. Telephone contact was also more prevalent among the nonresidential mediation group with 52% of parents speaking to their children weekly compared to 14% of those who used litigated divorce. In addition, residential parents saw nonresidential parents more positively, giving them better “grades” in all areas of parenting from running errands to discussing problems. Being that mediation is a collaborative process both parents actively participate in developing a healthy and fair parenting plan. Working together closely during mediation sessions allows parents to come to a mutual agreement on each specific issue. This can include weekly schedules as well as schedules for holidays, birthdays, vacations, and other special occasions. Mediation helps avoid the adversarial process that comes with litigation and the flexibility in communication makes it easier to include children in decision making. Instead of worrying about parents battling in court, children may feel more open to share their feelings knowing they will be listened to by parents who are committed to problem solving together. Contested divorce is inevitably full of conflict and easily leads to having children feel as if they are stuck in the middle, even when both parents have the children’s best interests in mind. Mediation gives parties a chance to work through issues without major conflict and learn to separate their personal interests from their children’s interests in the process. One of the most beneficial ways divorce mediation affects children is the new relationship it helps parents develop with one another. Because parenting after divorce is a whole new dynamic it requires the development of new types of relationships – with both the ex-spouse and child. Spending energy on blaming one another for the failed marriage takes away from valuable effort that can be spent on nurturing these new relationships. 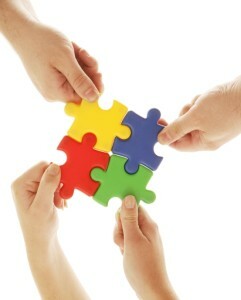 Mediation is a way to set aside blame and begin learning how to work together to effectively raise children. Mediation teaches parties to communicate effectively and develop new skills to create solutions for the future; these same problem solving and compromising skills are crucial to healthy parenting and stress reduction.